Hubspot is using it, and so are Pardot and Graphisoft. But what makes these top companies rely on ROI (Return on Investment) calculators? Let’s understand why it’s important to have an ROI calculator on your website. It’s the psychology of getting maximum returns on investment. Human emotions play a huge role in investments. One dominant emotion that impacts investment decisions the most is fear. Fear plays a large role in risk-avoidance behavior of us humans, concluded Baba Shiv, professor of marketing at Stanford GSB, after carefully assessing the investment decisions made by people who were unable to feel emotions due to brain lesions. This fear, thus, encourages them to evaluate their chances of returns to make sure there they can increase ROI before putting their hard earned money at stake. This explains why the interest in ROI calculators has increased over the time. But what does this mean for you as a business? Why does showing returns on your product or service make sense? How will it promote growth? And why? After all, you’re already investing in several different inbound (and maybe, outbound) marketing channels. How would a calculator be any different? Well, the answer lies in the question. How Is an ROI Calculator Different and Why Do You Need One? 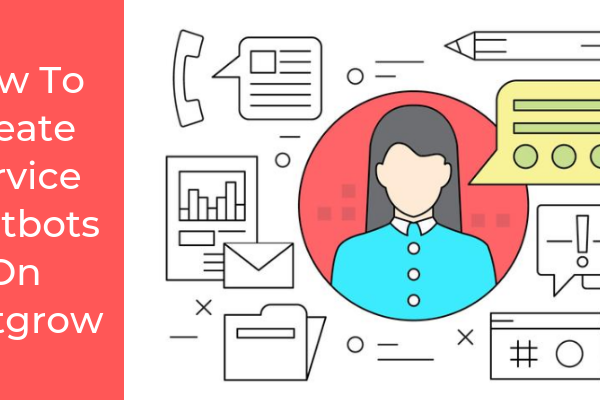 While being attuned with human psychology, there are other factors too that make an ROI calculator an essential marketing tool for your business. Let’s review them one by one. 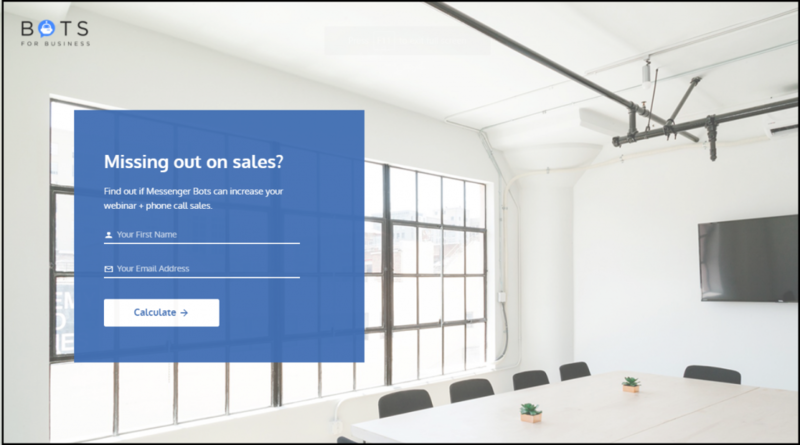 Whether it's your homepage or a landing page where your prospects first land, hosting an ROI calculator there can positively impact conversions. Reason? Calculators add value while landing pages simply sell. Your prospects turn to you to get answers or solve a problem - something calculators do for them. They talk about the customer, not your brand, which builds trust from the get go. This leads to better conversions - we’ve seen conversion rates of almost 40% and even higher! 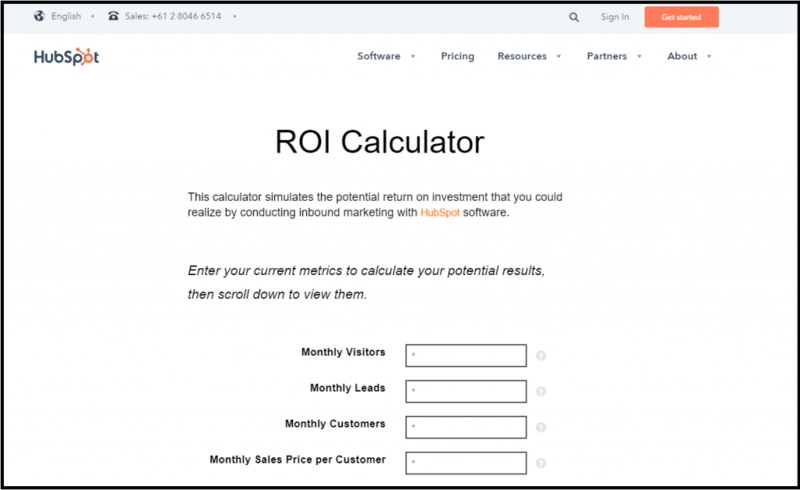 This ROI calculator built with Outgrow, for instance, has got a conversion rate upwards of 70%. Something like this can completely transform your marketing ROI. Traditional content pieces like ebooks and blogs have low conversion rates. These static experiences offer one way communication, and thus people grow weary of them. It is good for first time visitors, but what about repeat visitors? Why would you re-read an ebook or blog post? Besides, people don’t entertain the product-centric messaging and self-congratulatory tone anymore. ROI Calculators, on the other hand, are dynamic and offer different results based on different inputs, which gives them a personalized touch. This encourages prospects to share their information, thus improving chances of lead generation. In fact, interactive content can bump form completion rate up to 80%. For instance, one of our clients built an ROI calculator to help people find out if Messenger Bots can increase webinar + phone call sales. 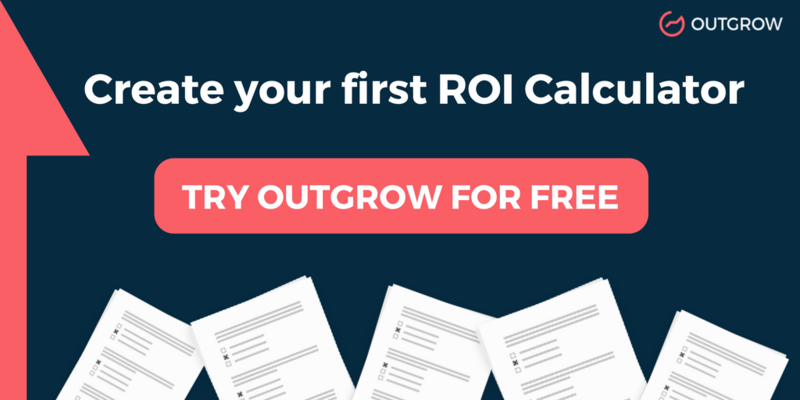 This particular calculator built with Outgrow got 300+ leads in a month and over 41% conversion rate. When people are deep in your website, for example on your pricing page or on your features page, they are typically at the bottom of the funnel. This means they are looking to buy, whether from you or from someone else. At this stage, an ROI calculator answers the most pressing question in the mind of a prospect - "Why should I use you instead of someone else?" What’s more - the tool comes handy for your sales team as well when it comes to convincing the prospects and closing deals. Calculators make you data rich. In order to get a genuine result, your customers, more often than not, fill in real, genuine data. In case of an ROI calculator, you get information like your customer’s website address, their current sales numbers, or their conversion figures. Such rich user data opens up awesome possibilities to really make your sales extremely targeted. Calculators are shared more when compared to static content forms like blogs, whitepapers, and ebooks. In fact, these interactive tools get 4X more shares as compared to their static counterparts. Take the New York Times Rent vs. Buy calculator, for instance. It broke all records and went viral. It was shared 187K times over a year and got more than 51K backlinks. Creating a calculator would otherwise involve hiring a team of developers and weeks, even months, of labor. However, with Outgrow you can create a calculator in a day’s time. Just keep the questions and formula handy. 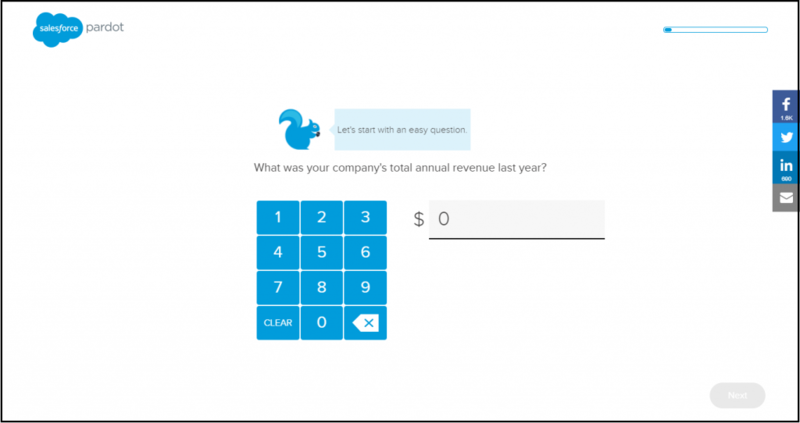 This post highlights a detailed process of creating an ROI calculator.